day 294 and the mojo is returning and i am really excited to be back creating now. today i am going with a carrot shaped theme for easter treats. 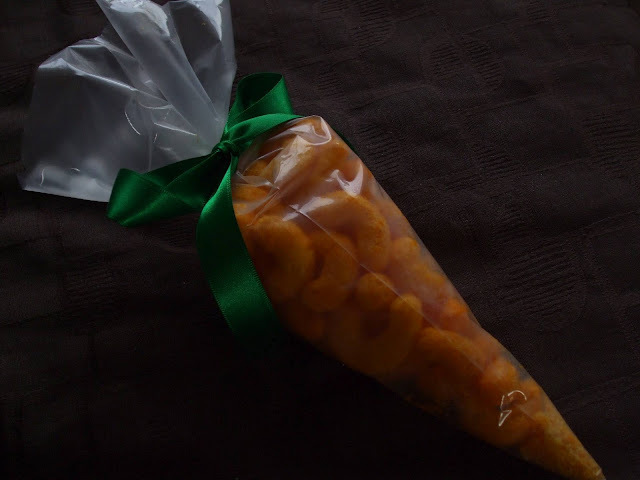 i have been salivating at all the treat ideas on pinterest and, in particular, the ones that look so cute in piping bags to form carrot shapes. 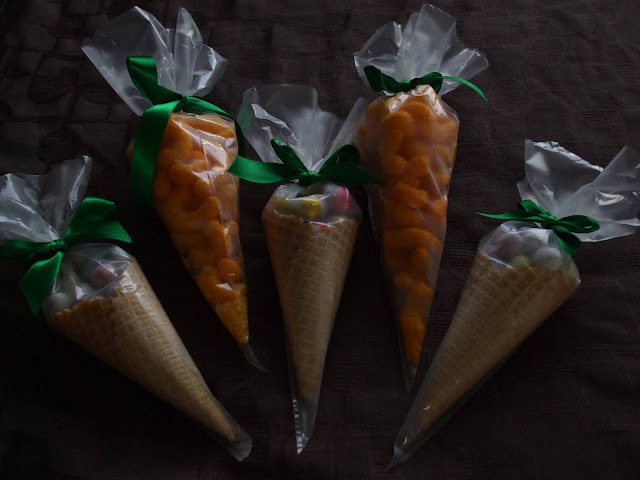 these gorgeous waffle cone filled "carrots" are such a cute gift and something nicer than a prepackaged egg as it shows you have put time and effort (which i reckon equals love!) into the gift giving. 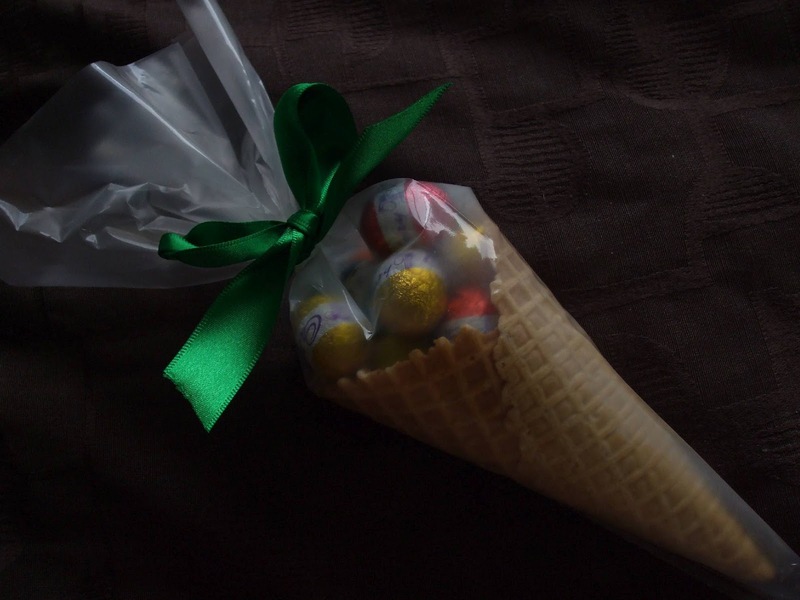 the idea comes from the sweetest baker and is pinned to my easter in autumn board. the other pinterest found idea is from loralee lewis and uses triangle shaped frosting bags filled with goldfish to make some less sugary easter treat carrots! the nice thing with both these easter treats is they only require putting together and the key ingredient for both is some clear piping/frosting bags, once you have the bags you can let your imagination take over. we don't have goldfish in new zealand so i am using twisties for the savoury carrots instead .. they are orange and will therefore be perfect! Super cute idea! 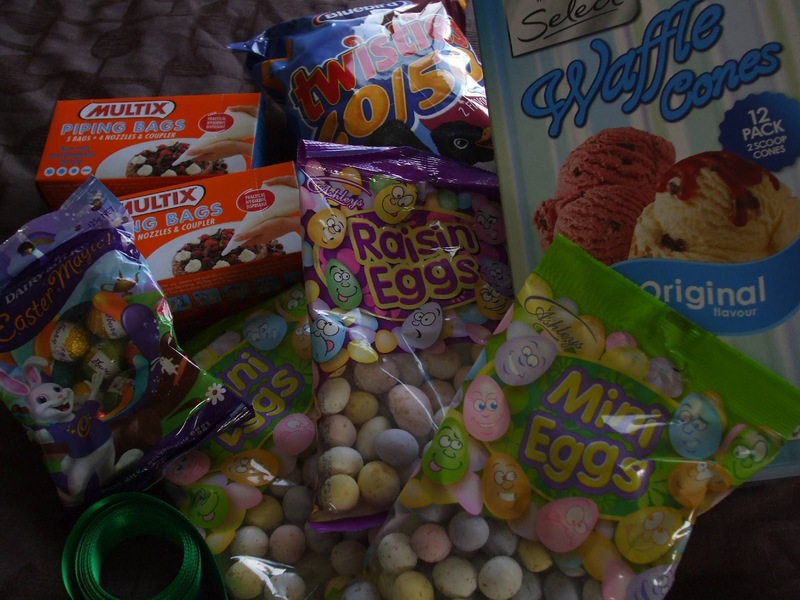 Definitely more fun than your standard eggs.